Election Day is coming; do you know whom you’re voting for yet? While you’re analyzing the candidates, you can watch some of the best political movies. Hollywood has used the American political system as inspiration for tons of movies, so there are plenty to choose from. Here are five such movies to watch in honor of Election Day. Since it’s a presidential election year, most of these are focused on the executive branch of government. 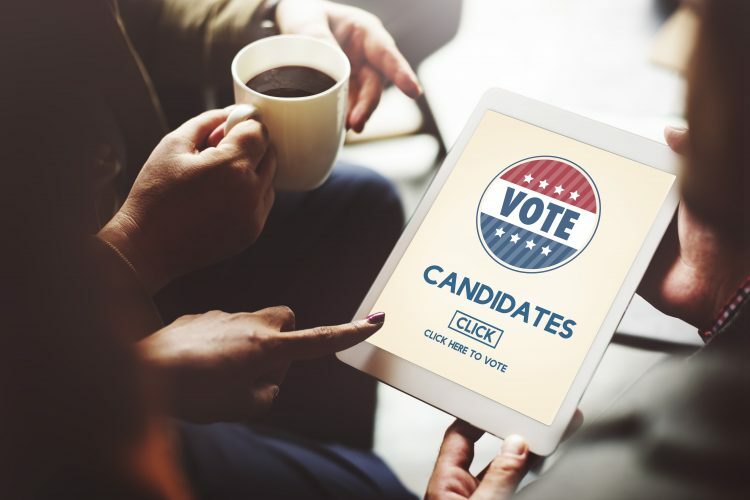 However, since you’ll also be voting for candidates in other positions, you’ll find some unforgettable films about those elected officials as well. Could you make a difference in the country if you had a chance? Meet Dave (Kevin Kline). He’s just a regular working guy who happens to look exactly like the president (also played by Kline). When the president wants to take a break, guess who is asked to act as his double? Dave! And when the president’s break doesn’t go as planned, Dave ends up playing this role for the long term. Of course, there are others who try to use this situation to promote themselves politically. Fortunately, they never counted on Dave being such a popular president. He proves that a regular guy can make a difference! Young lawyer Bill McKay (Robert Redford) plays an active role in civil rights, ecology, and other important issues. When asked to run for a seat in the United States Senate, he agrees. At first, he doesn’t plan to win. He runs because he knows his campaign can bring important issues to the average citizen. McKay dislikes the political scene and all the compromising that comes with it. However, as the race goes on and he begins to believe he can actually win the race, he begins to participate in the deals and compromises. As he gets more involved, the conflict between his integrity and his desire to win definitely takes a toll. Andrew Shepherd (Michael Douglas) is the American president. He’s also a widower and a single father to his young daughter. The country loves him—his poll numbers are fabulous. His re-election seems almost guaranteed. Then he meets Sydney Ellen Wade (Annette Bening) and falls in love. Normally, a presidential romance wouldn’t be a problem, but this time, the president has fallen in love with a lobbyist. This opens up a can of worms, and his opponent takes advantage of the situation. In this classic movie, the death of a senator leaves a vacancy for the governor to fill. Jefferson Smith (James Stewart) is definitely an outsider to the political establishment, but he’s selected for the role. Always filled with patriotism, Smith embraces the appointment. He believes he can bring real change to his state and the nation. But when Smith gets to Washington, he learns the others in office believe they can manipulate him since he’s a political newbie. After this realization, Smith learns that he’ll need to stand by himself to fight the system and all the corruption. On the way home from Moscow after firmly declaring that the United States will not negotiate with terrorists, the president (Harrison Ford) discovers that terrorists have taken over Air Force One. The passengers, including the president’s family, are taken hostage. The president, a former Medal of Honor winner, is not going to sit back and listen to the terrorists. He takes matters into his own hands to gain control of the situation—without negotiating. Need Money to Buy These Movies? If these political movies aren’t in your budget right now, make sure you’re using these tips to earn iRazoo points. You can use these points to get gift cards to buy movies or anything else you need! Sign up today!